Casino Heroes – Free Spins Frenzy! Enjoy huge amounts of Free Spins! Claim up to 420 Free Spins on 6 new games! 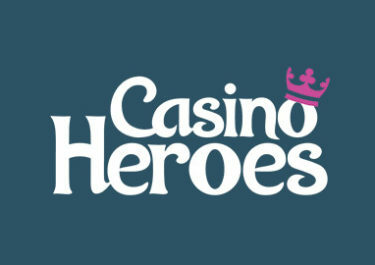 Exciting week ahead at Casino Heroes. Players can claim up to 70 Free Spins per day, and that no less than six days in a row. What makes it so special is that every day the spins will be on a different new game. Try the latest creations from Netent, Play’n GO, Yggdrasil and Playson. Simply choose the amount of Free Spins you want to claim, then deposit the required amount and get spinning! 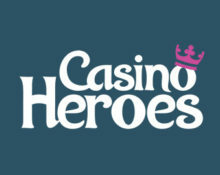 Casino Heroes is a great gaming hangout which focuses on their loyalty program called “The Adventure”. Players chose an avatar at the start of their journey and progress from island to island through wagering on their favorite games. Once the progress bar is completed they get to fight the Boss on the island where the prize is an extra rubies reward. All rubies, that are collected on the adventure, can be exchanged for Free Spins in the store. The value of the spins can go up to a huge $4 per spin, which they call Mega Hero Spins. This will be a thrilling and exciting end of September at Casino Heroes. Each and every day, until 30th September 2017, players will be able to claim 25 or 70 Free Spins with their deposit, each batch on a different new game. Getting them can’t be easier as they will be automatically added to the players’ Treasure Chest after the deposit is completed. The required deposit must be made in one amount to have the spins credited. These will be added to the personal Treasure Chest and are valid for 5 days. Wagering requirement is 40x Free Spin winnings with a maximum €5 bet and subject to the Casino Heroes bonus terms and conditions.